Sheet metal mechanics Alex Turbyfill, right, and Gilbert Martinez, assigned to 533rd Commodities Maintenance Squadron, work on an F-16 wing April 26, 2018, at Hill Air Force Base, Utah. The 533rd is performing structural-strengthening modifications as part of the F-16 Service Life Extension Program, or SLEP, that will keep the jets flying for decades. The Ogden Air Logistics Complex in Utah reached a major milestone in extending the life of one of the Air Force’s most tested and flown multi-role fighter fleets. 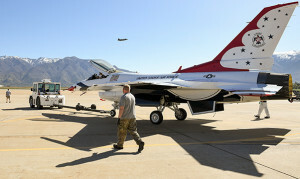 An Air Force Thunderbird jet is the first of what will be roughly 300 refurbished C and D model F-16’s that will roll off the shop floor of the 573rd Aircraft Maintenance Squadron here after receiving multiple structure-strengthening modifications. The F-16 Service Life Extension Program will keep the jets flying until nearly 2050, thanks to a partnership between the Ogden Air Logistics Complex and the Air Force Lifecycle Management Center’s F-16 Systems Program Office. The program combines a dozen structural modifications into one repeatable package — from bulkheads to wings and canopy. The jets, which became operational in 1979, and were originally deemed air worthy for up to 8,000 flight hours, will have their life extended up to 12,000 flying hours – possibly more, said Capt. Randy Nemerson, F-16 SLEP acquisition manager. All the stateside SLEP modifications will be completed at Hill. Years of planning and testing have gone into the program here. AFLCMC, depot and contract engineers have worked together to lay the groundwork, said Nemerson. The Thunderbird jet was the first of four F-16s that will be used as “validation and verification” aircraft. Maintainers use the challenges and lessons learned on these first aircraft to better establish the cost, workflow and timeline for the modifications. A U.S. Air Force Thunderbird jet is towed onto the flightline April 26, 2018, at Hill Air Force Base, Utah. 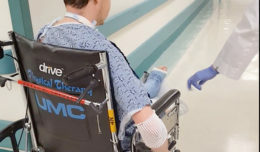 As with nearly every major maintenance program, SLEP is a group effort in the complex. The maintenance support group is hunting for space for the increased workload. The entire team is working on hiring, training and certifying a new crop of mechanics and technicians to take on SLEP. 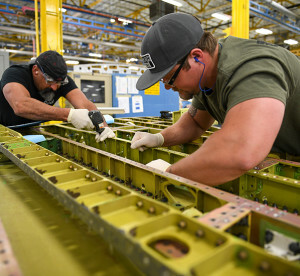 In the commodities maintenance group, where F-16 wings will be refurbished, advanced and automated machinery needs to be purchased and installed along with older, refurbished machines and jigs. Repairing the wings in-house is a big undertaking, doubling the squadron’s current wing workload, but engineers say it will save millions of dollars. Schedules between the back shops and aircraft maintenance also need to be closely coordinated so parts and tools are ready at the proper times for tear down and reassembly. “This is really is a big initiative across the complex, but in commodities we support everyone — F-35, F-22, C-130, A-10s, so there’s always something new and we’re pretty accustomed to taking on the challenge,” said Shane Olsen, leader of the 533rd Commodities Maintenance Squadron. Once the final processes and workforce are in place, the goal is to complete each SLEP jet in 9 months at a cost of $2.4 million, a small fraction of the cost of buying a new aircraft. The F-16 SPO is also working on a separate software and technology upgrade for the F-16.